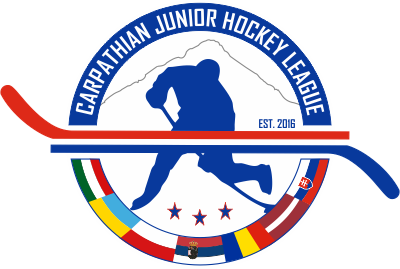 In every USA Hockey sactioned league other than the United States Hockey League, teams are only allowed to sign up to TWO non american citizen players. 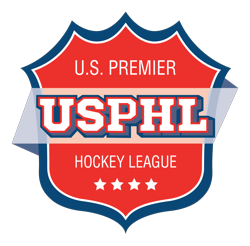 The USHL is allowed up to 4 under certain conditions within a pilot program approved by USA Hockey two years ago. How then are teams at the Tier II and Tier III levels getting away with "hiding" more than two import players? I am not saying that some teams are not working within the rules that USA Hockey has left loop holes to be taken advantage of. I am not saying that every team "hiding" players is acting in an illegal manner. Some teams though are definitely breaking the rules. Particularly at the Tier III level. Tier II teams can hide imports in the easiest of ways, all they need is a Tier III development partner. Its easy enough to trade an import player back and forth so that at no point does the Tier II team have more than two active import players on their roster at any time. That is completely within the rules, and most would call it smart roster management. Any Tier III team on the lower end of this arrangement is smart as well. They are getting higher level players for short periods of time to help imporve their team. Nothing wrong with that at all. The problem comes when Tier III teams already have two import players and they receive a third. What some teams have been doing is dropping one import player from their roster when receiving the new import player. This wouldnt be a problem if the dropped player was a free agent and able to sign with any other team. The problem is when the team doesnt tell the player being dropped that he has been dropped. They continue to collect that players money for tuition without telling him he is free to leave. What they say instead is that he is just sitting for a few games to give the new guy a try. The rule is clear, if you are a USA Hockey sanctioned team, you can not have more than two imports players per team. This is happening more and more, USA Hockey has no way to track it, and the leagues wont track it. Coaches can activate and deactive players at will instantly. Tier III teams present such a large volume of player transactions USAH can not keep track of who is an import player and who is not. Leagues arent going to track it becuase they dont care until it gets to playoff time, and simply because they dont want to see their teams miss out on collecting the tuition generated. The time is coming fairly soon though when one team will get caught. How will they get caught? Parents are getting ready to complain, and there are records of these players living with billett families. The digital record of repeated adds and drops is also there without the player having knowledge. Not only is this a USAH rules violation, but according to one parent who also works in law enforcement, this is also a financial fraud. Collecting monies and not delivering the service is only one aspect of the problem, the other issue is not telling the consumer that at certain points in time that they are not receiving what they are paying for. There is a solution to the problem. A national computer generated waiver list. USAH could control add and rop lists through the player registration system CYBER SPORT. Any time a player is added or dropped from a Tier III roster, a list could be generated and made available to every other team in USA Hockey. The player woould have to remain on waivers for at least 48 hours and any team not having two import players could then claim that player. Teams trying to hide import players would then be forced to follow the two import player rule or risk loosing the player to waiver claims and thus loosing the tuition income from that player. Rules are rules. If you want more than two imports on your team, AAU offers that option. Trying to beat the system with roster manipulation is no better than having too many men on the ice. When youre caught there is a penalty to be paid. Better to say goodbye to the player than to face fines and sanctions from USA Hockey, or worse, an angry parent who feels lied to.